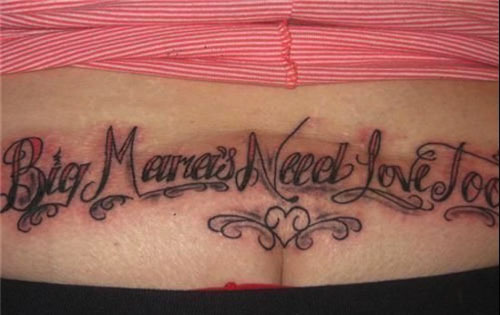 While we've already done another gallery on The Worst Tramp Stamps we've ever seen, we felt compelled to do an entirely new gallery as soon as we came across these equally awful tramp stamps. And, just like in the other gallery we have to beg the question: What were these ladies thinking?! 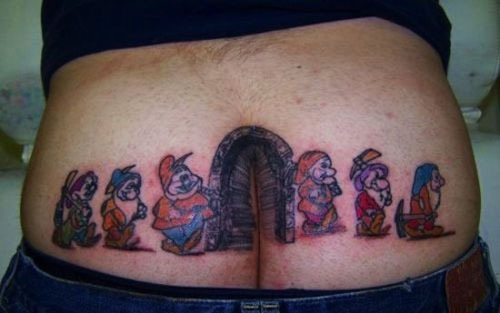 First off, it's NEVER a good idea to get a tramp stamp. They are waaaaay outdated and nobody is going to think it's cool you have one AT ANY AGE. Second, no matter what you put on there it's never, ever going to be taken seriously. Even if it's an ironic tramp stamp that is totally making fun of every tramp stamp in the world...it simply doesn't matter. 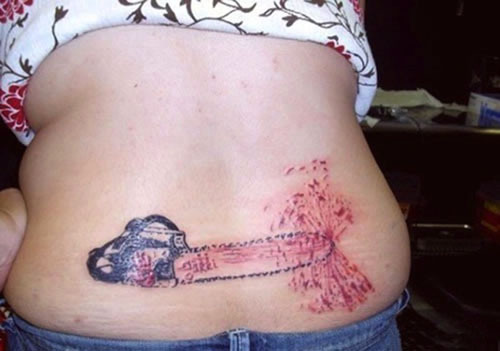 People will think your tramp stamp is just as bad! 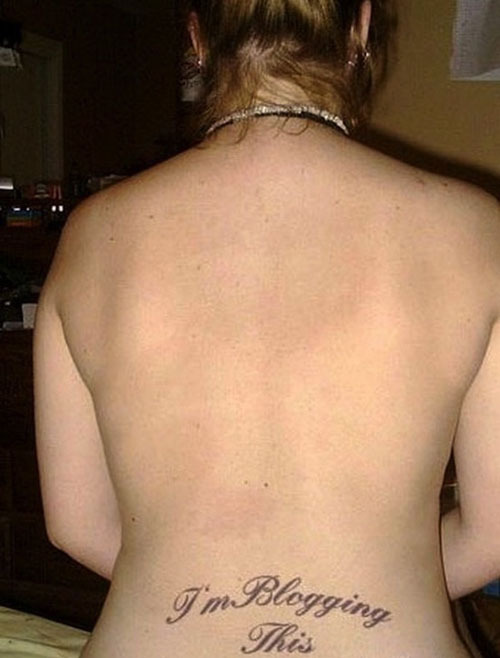 Go through this gallery of terrible tramp stamps and see for yourself. Do you see any tramp stamps that would be worth getting? If you think there's at least one, let us know in the comments section below or on Facebook. And don't worry, we won't tell anybody that you probably have one because you're defending them. Your secret is safe with us. 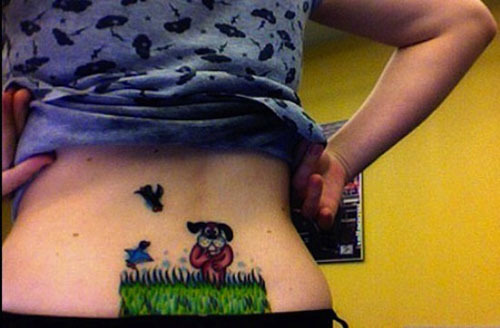 In the meantime enjoy these god awful tramp stamps!